1910 a plane designed by Ing. Boess of Kętrzyn (then Rasterburg) was built in a workshop owned by Friedrich Fest of Reszel (Rössel). It was a monoplane powered by a 50 HP engine. The machine was 10 metres long, had a wing span of 14 metres and weighed 450 kg. 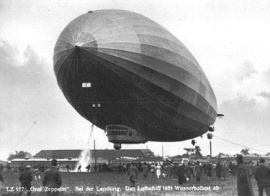 1929 the giant dirigible, the LZ 127 Graf Zeppelin, flew over what is now Kętrzyn Wilamowo airfield. This was probably a stage of its round-the-world flight, which started in Lakehurst on 7 August and took a month to complete. 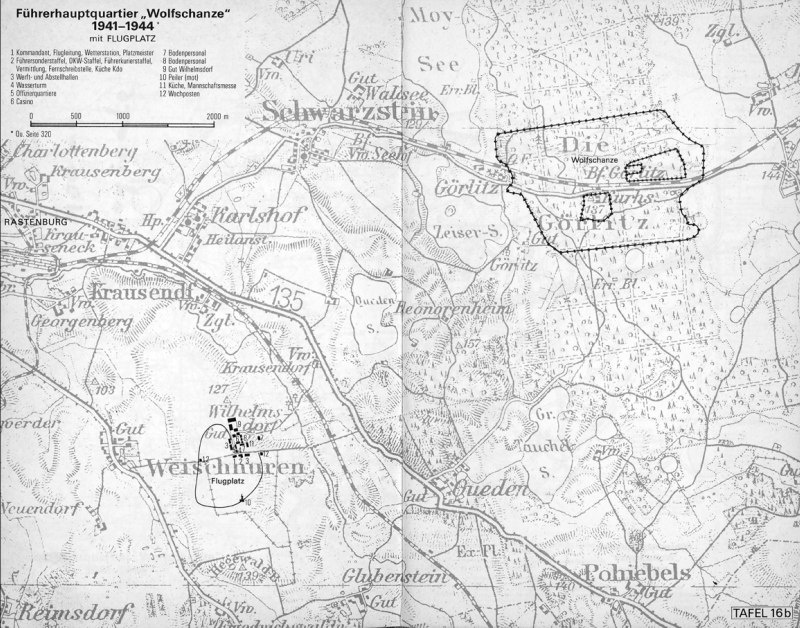 1940 July decision is passed to build Hitler's secret headquarters called Wolf's Lair - the Wolfsschanze. It was made up of 200 structures; bunkers, barracks, power plants, a railway station and ,the most important , an airfield. (passenger version and the four-engined Focke-Wulf 200 Fw Condor , it was shaped the way it looks today – like the letter X. 1944 20 July - after the abortive attempt on Hitler’s life, German officer Claus von Stauffenberg, Reserve Army chief of staff, flies to Berlin by a “He 111” plane. 1945 24 January - heavy explosions shake the Gierłoż forest. This is German army sappers dynamiting away the “Wolfsschanze”. Depending on the size of the bunker, they needed 8 to 12 tons of explosives to destroy the solid structure. 1954 at 1300 hours on 6 October, a plane carrying prisoner of state, Cardinal Stefan Wyszyński, took off from Wilamowo airfield. The Primate was being taken from the original place of exile in Stoczek Klasztorny to Prudnik in Opole voivodship. 1983 – the Aeroclub of Poland disbands Kętrzyn Aeroclub due to the lack of aeroclub activities and members’ activity as well as the absence of interest of local authorities in its operations. The airfield slowly falls into disrepair and nearly disappears from Poland’s aviation maps. 1999 August - the first of a series of events aimed at bringing aviation closer to the people. This is teh beginning of an era of intense activity and revival of Kętrzyn Wilamowo airfield.